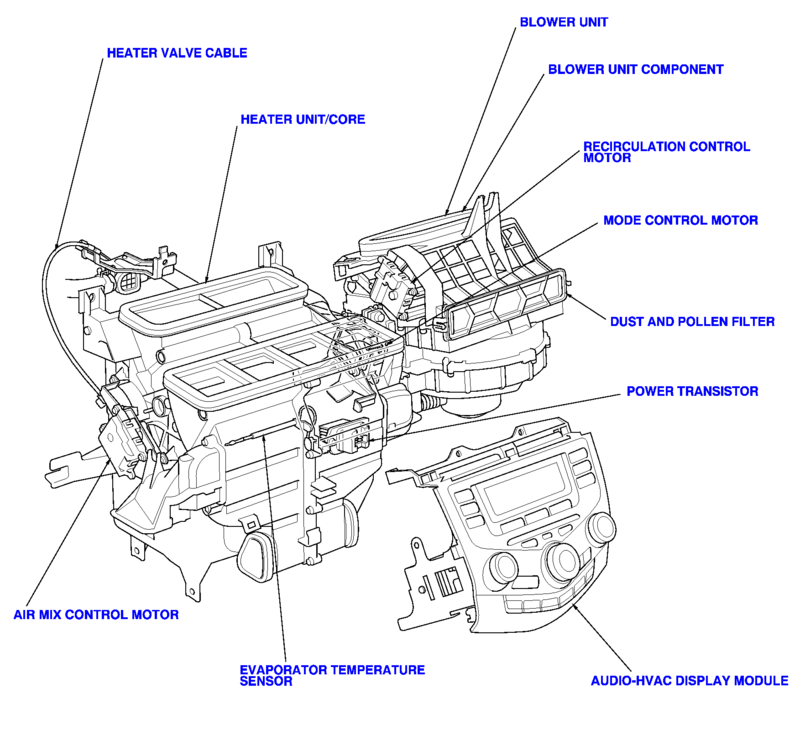 Technical Car Experts Answers everything you need: A/C, heater, defroster fan, not working? This problem is noticed on 2003 Honda Accord car model. Sounds like the power transistor may be to blame. Before you point your finger at the blower motor, perform this check. Disconnect the 4P connector from the power transistor. Measure the resistance between the No. 3 and No. 4 (4-door) or No. 1 and No. 2 (2-door) terminals of the power transistor. It should be about 1.4-1.5 kW. If the resistance is within the specifications, go to next step. If the resistance is not within the specifications, replace the power transistor. See below for location of power transistors. You can see it if you look from the passenger side under the dash. You may have to drop the glove box down by un-clipping the support strut on the right side of the box then pressing in on both sides.